Every month, a few of my favorite bloggers get together and have a #DollarBinChallenge. The premise is simple…we all choose one item from the dollar section of Target or Michael’s and create a craft with that item, putting our own spin on it. This month’s dollar bin item is glass test tubes from Michael’s ($1.50 each). I decided to use them to make a fun Valentine’s Day craft for my 3 kids. 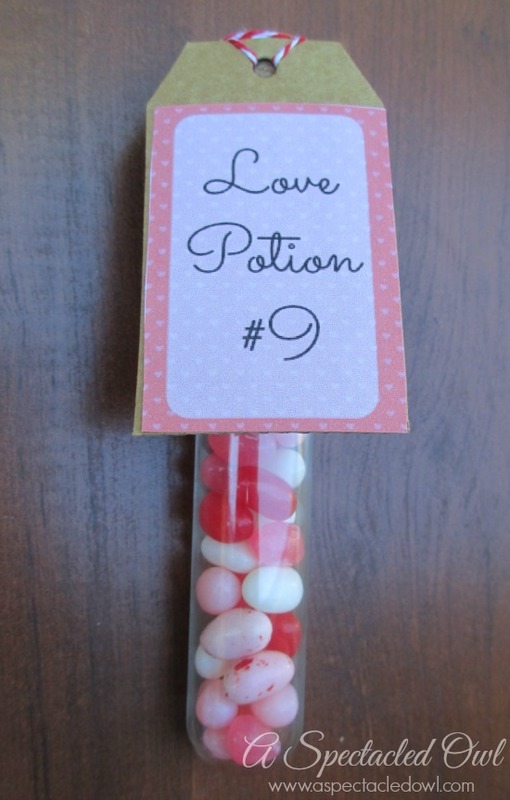 This “Love Potion #9” craft is super easy to make and really adorable! 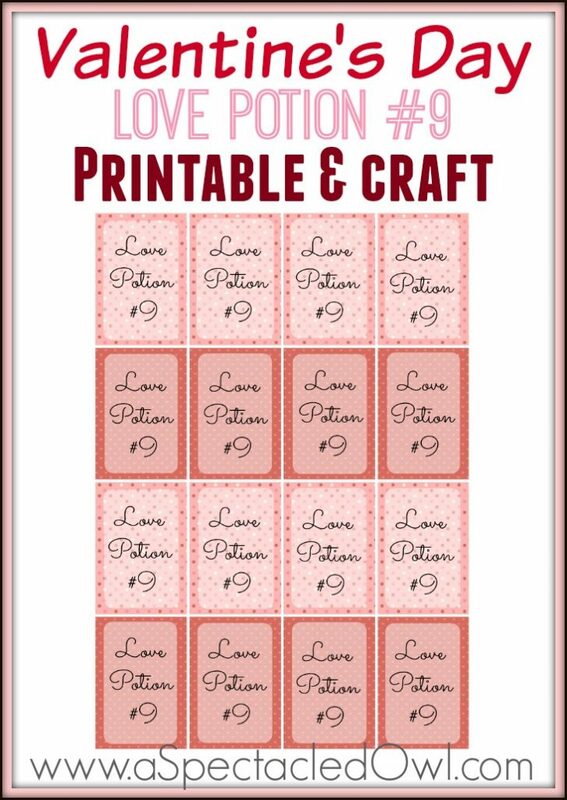 Click on the picture below to print out your own “Love Potion #9” tags. 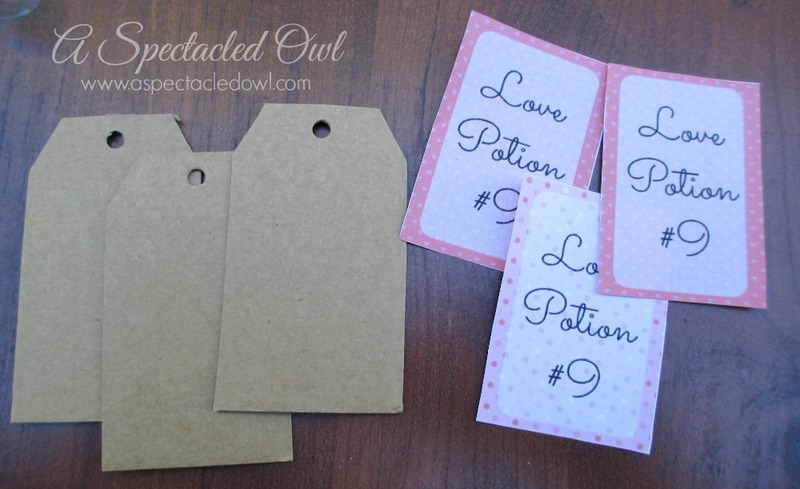 After printing them out, glue the “Love Potion #9” tags onto the cardboard tags. 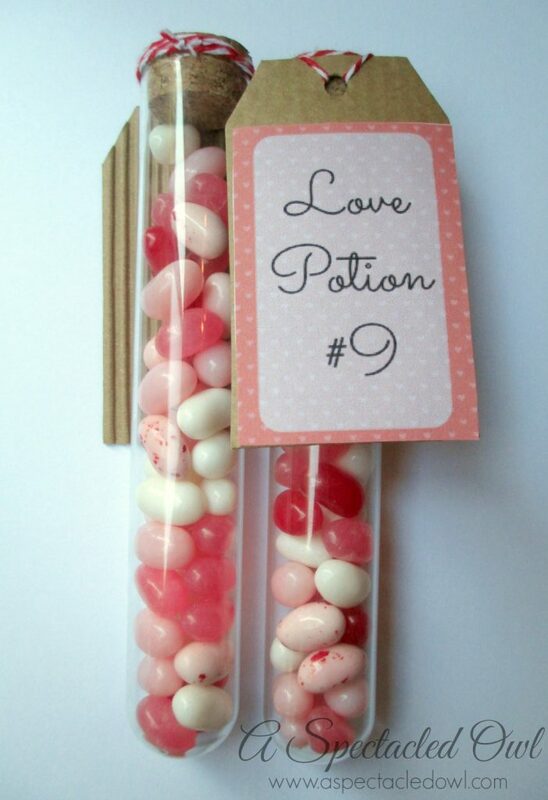 You could also just punch a hole in the “Love Potion #9” tags as well. 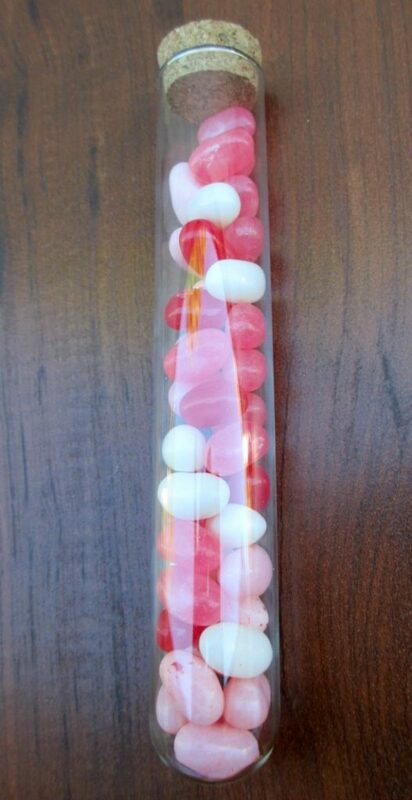 Add candy to your test tubes and close them up. 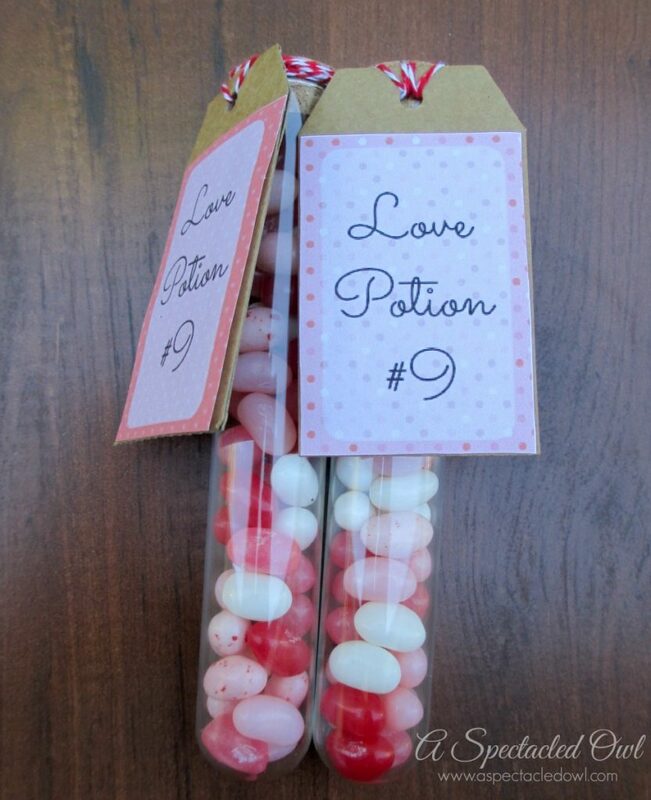 I love that you can add any candy you want, like red hots, conversation hearts and so much more! 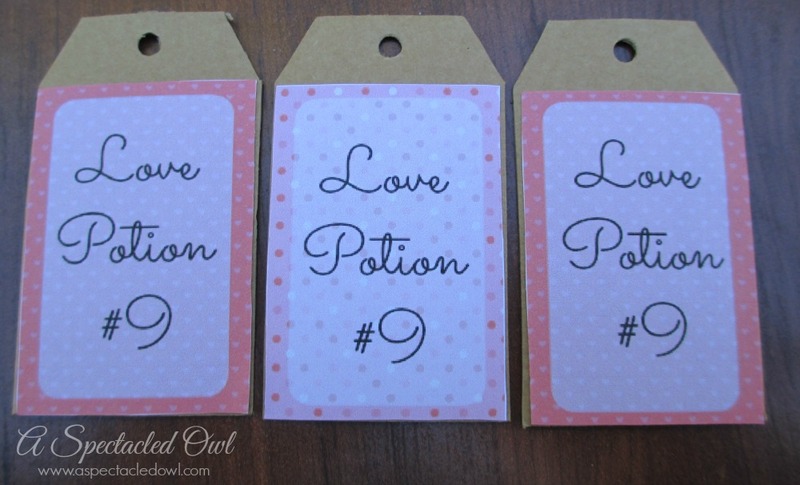 Wrap the twine or ribbon around the cork or top of the test tube and tie it through the hole of the “Love Potion #9” tag. And there you have it! A simple, fun craft and gift that will make the special ones in your life feel loved! Head on over to the other three blogs that joined in on the #dollarbinchallenge! You won’t be disappointed in the great things they made! This is so cute! Love the tags you used and the baker’s twine is a nice touch. Love Love love this! It might have to be our Valentines craft this year. Love these so much! The test tubes totally make them perfect! 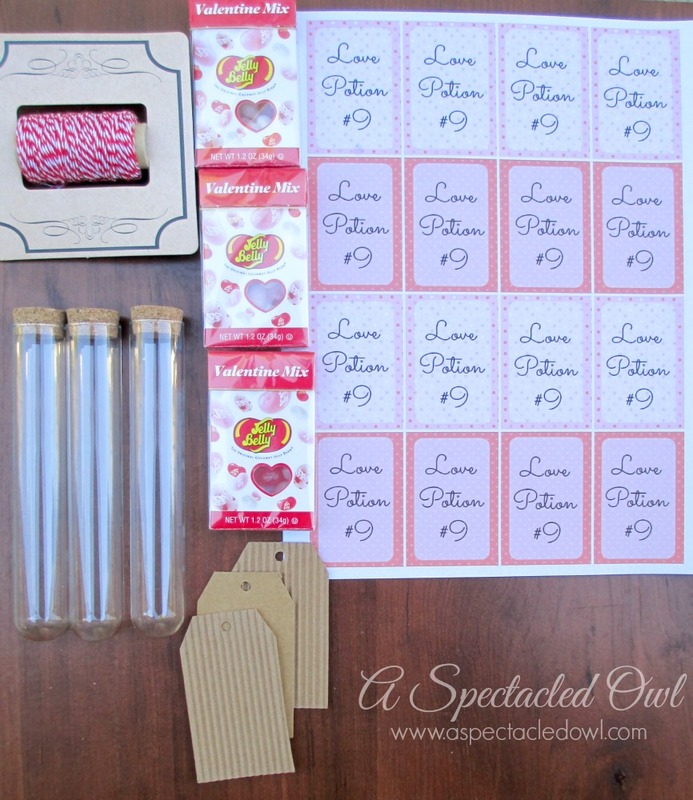 I love “test-tube” craft ideas. I’m always looking for new ideas. Thanks for sharing! Thank you for stopping by, Cam! Wow, that is adorable. Looks easy enough to make but I would have never thought of that. Super fun for the kiddos. They look so sweet, thanks for the printable. Absolutely, Julie! Thanks so much for stopping by! These are adorable and so creative! What a great Valentine’s Day gift! I would love if you would drop by and link this up to Celebrate It! blog party. It’s all about sharing how we celebrate the big and small moments of our everyday lives.